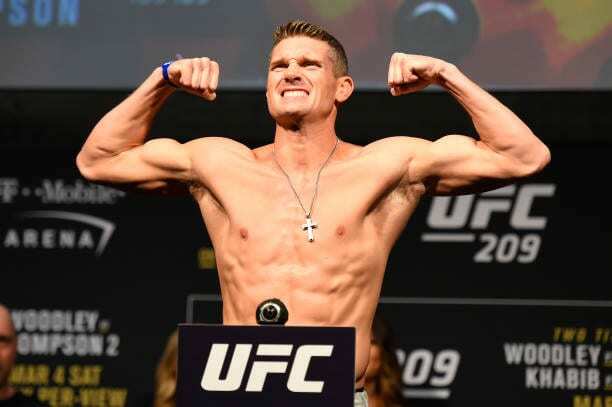 Stephen Thompson explains why, in his mind, former UFC lightweight champion Anthony Pettis called him out for a fight. Just last month, Pettis made the callout in a post on his Instagram account. This came after he was considering to make the move to welterweight from lightweight. Back in August, it was reported that the Las Vegas-based promotion was targeting a fight between Thompson and Robbie Lawler in a welterweight bout on January 18, 2019, that was expected to be the first event under the UFC’s new TV deal with ESPN. However, that fight never got booked. Instead, Lawler is fighting Ben Askren at UFC 235. The UFC would later confirm that this fight would take place at an upcoming Fight Night show. During a recent interview, Thompson gave his theory as to why this fight was booked. UFC on ESPN + 6 is set to take place on Saturday, March 23, 2019, at the Bridgestone Arena in Nashville, Tennessee.